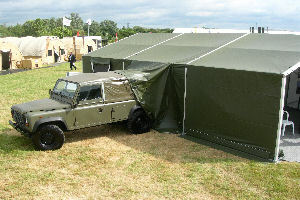 The Custom Covers Military Utility Shelter is the current generation of a family of tents designed for use as general service tentage or temporary deployable accommodation. 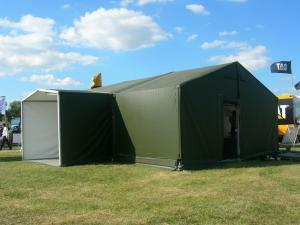 The Custom Covers Military Utility Shelter allows flexibility in installation and layout while at the same time providing high strength against wind, weather and snow loads. Structures require little perimeter clearance, and multiple leg heights give eave height versatility. 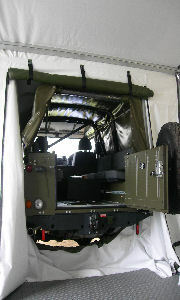 The Military Utility Shelter varies in widths from 3m up to 12m while its length is unlimited because the structure is modular coming in 3m bay widths.